Now for a really big mystery – what will you buy as gifts for relatives and friends this year? 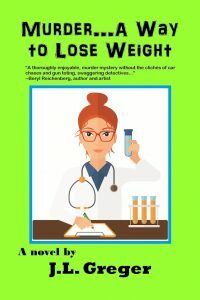 There are so many holidays – Valentine’s Day, Easter, Mother’s Day, Father’s Day, graduations, birthdays, weddings, anniversaries, family reunions… You don’t want to give candy to overweight (perhaps diabetic) relatives and friends. Flowers can be so expensive, and they wilt so quickly. How about giving a book? Why do books make good gifts? Because they can reflect the personality of the giver as well as the recipient. For example, you may love a racy thriller…but doubt your mother or grandmother will. You could select for her a cozy mystery, based on a shared activity, or pets. Afterward, you can discuss the book, and perhaps discover your tastes are more similar than you thought (or not!). Casting Shadows by Margaret Tessler. Visit Cloudcroft in this murder mystery. 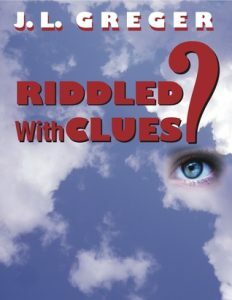 Riddled with Clues by J.L. Greger. The clues to this thriller set in modern Albuquerque are based on the memories of a veteran of the secret war in Laos during the 1960s. The Pot Thief Who Studied Georgia O’Keefe by J. Michael Orenduff. A lovable scoundrel saves art treasures in the Southwest, in this seventh book in a series of mysteries. The Good Old Days? by J.L. Greger. 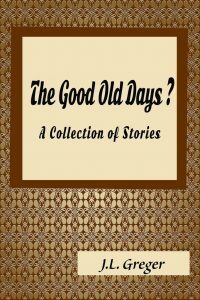 This collection of short stories makes you wonder whether many nostalgic narratives of the 1940s and 1950s are cases of selective forgetfulness. Remember: there’s nothing easier to wrap than a book. So, start shopping for books!